Click Here To See What If...? #102 Comic Book! 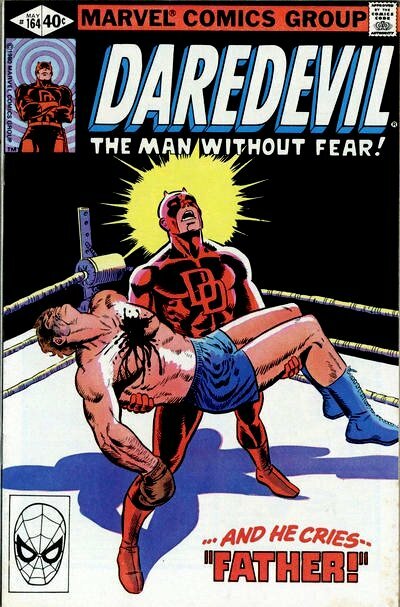 Click Here To See Daredevil #164 Comic Book! Check out this very nice What If...? 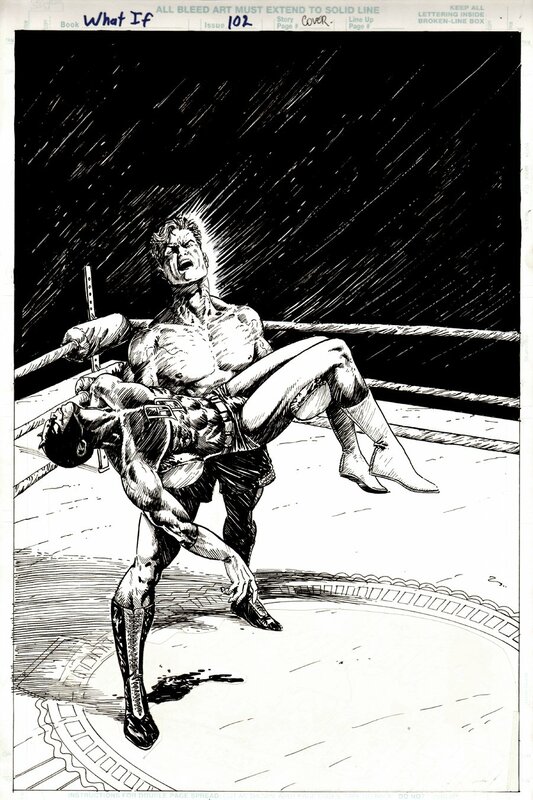 cover, which was penciled and inked by Leonardo Manco, from the story titled: "Shadow Boxing" This nice cover features Matt Murdock actually holding the dead...DAREDEVIL! 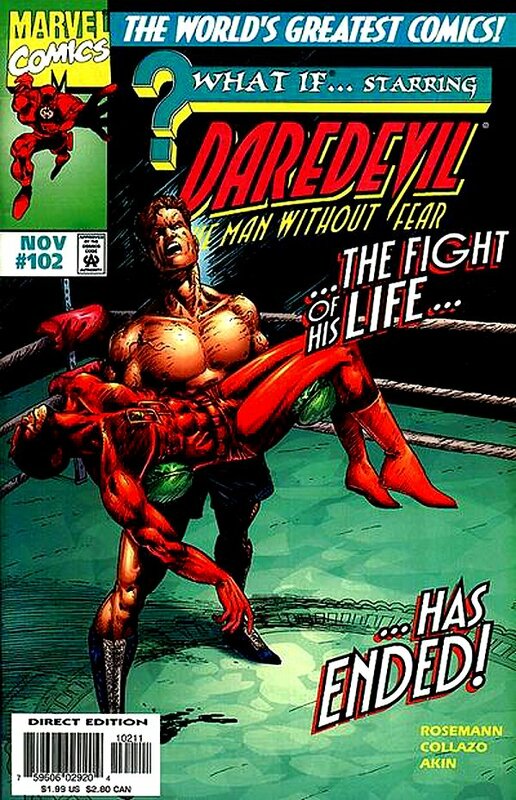 Just a great cover which is an iconic REVERSAL of Frank Miller's DAREDEVIL #164 (which can be seen in the extra red link above)! In this story: Jack Murdock takes the dive and is "not killed" by the Fixer. Matt ends up forsaking the law and becomes a boxer who is managed by the Kingpin. Compare this nice cover art to the published comic book in the red link above! ALL art on our website (including this one) are able to be purchased with VERY fair time payments, and trades are always considered towards "ANY" art on our website! Just send us an email to mikeburkey@aol.com and we can try to work something out.